House Republicans again push to impose limits on the rate of Medicaid growth. Medicaid patient headcounts and expenditures are shooting up nationwide. This pattern is partly due to the federal Affordable Care Act (“Obamacare”), which encourages the states to expand and enlarge their individual Medicaid programs. In 2012, 72.2 million American residents – more than one-fifth of the nation’s population – were covered by Medicaid for at least one month. In their story this week, “Reversing the Medicaid Tidal Wave in Illinois”, The Caucus Blog describes the national numbers. Led by Deputy House Minority Leader Patti Bellock, Illinois has tried to begin to move in the opposite direction. Illinois Medicaid patient headcounts, already high by nationwide standards when the Affordable Care Act became law in March 2010, were set to go even higher. Bellock pushed the General Assembly to enact a new Medicaid reform package in the 2012 spring session. Faced with taxpayer anger, many lawmakers joined with Bellock to enact key elements of the package into State law. In the two and a half years since Medicaid reform, not all of the promises the General Assembly made have been fulfilled. One key element, the “redetermination” – an audit of Medicaid patients to ask them to resubmit evidence of their household income status and other elements of their eligibility for Medicaid – was partly held up by the Quinn administration and put into effect much more slowly than it could have been. However, the overall package is being implemented here in Illinois and is starting to provide benefits for taxpayers. With redetermination, 148,283 cases have been subtracted from Medicaid rolls, and persons in this category are being strongly encouraged to look after their health-care needs through the private sector. Bellock and her allies also fought through a maze of opposition to move many subgroups of Medicaid recipients into managed care – the same health-care platform utilized by a wide variety of working and retired Illinoisans and their families who are beneficiaries of private health-care insurance. The enactment and partial implementation of Bellock’s Illinois Medicaid reform push has laid down several models that are now being looked at by other states across the country. The Wall Street Journal describes the Illinois story here. General Assembly holds hearing in Chicago. The hearing was held on Monday, November 10 by the Illinois House Appropriations – Human Services Committee. Leaders of the Illinois health care sector, representing the public and private sectors, testified on the current status of Illinois Ebola screening and monitoring. Current procedures include screening air passengers who are disembarking from planes that land at Chicago’s O’Hare International Airport. These passengers’ health status is monitored as they pass through security, and passengers whose travel originated in particular locations within West Africa are subjected to intensified screening. In some cases, this screening may result in mandatory transportation of an individual to a health care facility for further examination, testing, and treatment. The Department of Public Health told the House committee that they were, as of Monday the 10th, tracking 12 persons within Illinois who were diagnosed as having had a low risk of being exposed to the deadly virus. They were required to report their body temperatures to DPH twice a day for 21 days. The Chicago Tribune reported the status of these one dozen patients here. Health experts believe the Ebola virus increases its ability to spread and become contagious when a patient infected with the virus has a fever. Under current DPH safety guidances, in some cases, individuals who have a high risk of exposure to the Ebola virus may be ordered to accept hospitalization or home quarantine. The Illinois Hospital Association reported to the Illinois House committee that four Chicago-based teaching hospitals – affiliated with Rush University, the University of Chicago, and Northwestern University – have been designated as treatment care centers for potential Ebola patients in Chicago. Additional teaching hospitals affiliated with Loyola in the Chicago suburbs, the University of Illinois at Chicago, and the Southern Illinois University School of Medicine in Springfield have stepped forward should their facilities be required. Hospital care providers have updated their protocols to cover situations where potential patients present themselves at health facilities for treatment. Public health experts used the Monday, November 10th hearing to request that the State create a new budget fund to cover the additional health and employment costs borne by health care workers who may be forced to take time off from work, or themselves undergo quarantine, after giving care to an Ebola patient or having contact within a caregiver. General Assembly makes progress on fracking. A key legislative panel, the Joint Committee on Administrative Rules (JCAR) pushed fracking forward on Thursday, November 6 by approving changes to the rules to be issued to grant permits to drilling crews. In operations called “hydraulic fracturing” or “fracking,” drillers throughout North America have received training in the newly-invented technology of drilling into beds of tight shale to extract their deposits of crude oil and natural gas. JCAR’s input was necessary in order to reconcile these permit procedures and rules with the original intent of the General Assembly; state lawmakers enacted legislation (SB 1715) in May 2013 to move southeastern Illinois and its New Albany shale beds into position for frack drilling. State legislature returns into session for pre-Thanksgiving week. The lawmakers are expected to hold internal and committee meetings on Monday and Tuesday, November 17th and 18th, and will meet in full session on Wednesday and Thursday, November 19th and 20th. They are asked by the Constitution to consider the messages sent to them by departing Gov. Pat Quinn, who used his veto pen on some of the bills enacted during the 2014 spring session. A session day previously scheduled for Friday, November 21st, has been cancelled. This is the first week of veto session. The General Assembly will meet again on December 2-4, during the week immediately following Thanksgiving. In addition to vetoes, the General Assembly may also take up emergency non-veto-oriented items of public business. Read The Caucus Blog for rapid updates on issues likely to be considered by the State and its lawmakers. The veto session schedule has been posted here. University of Illinois leadership unveils proposal to create 8th Illinois medical school. The proposal will utilize more than $235 million that has been pledged or projected in the form of donations and investments from donors and a private-sector health system, Champaign-Urbana’s Carle. UIUC Chancellor Phyllis Wise has told the press that she does not believe that implementation of the proposal will require new funding from State taxpayers. Illinois currently has seven medical schools that grant M.D. degrees. Six are located in the greater Chicago area and one, the SIU School of Medicine, is located in Springfield. The current University of Illinois College of Medicine operates in four locations throughout Illinois, but its primary location is a teaching hospital located in Chicago’s “medical campus” on the Near West Side. It is affiliated with UIC, the U of I’s Chicago campus. The proposed UIUC medical school would be a stand-alone institution and would not be affiliated with the UIC hospital or medical school. Under the current proposal, Carle would share in the governance of the UIUC school. The University’s board of trustees, which is faced with the need to balance the goals of all of its campuses, responded to Wise by asking the president of the university system, Robert Easter, to examine the multi-campus university’s options. Easter has been asked to make a recommendation to the trustees in March 2015. The Chicago Tribune has more about the proposal here. The Urbana-Champaign financial plan includes a focus on medical technology. Supporters of the new school say it would leverage the University’s existing expertise in physical engineering to create graduating classes that would be oriented towards specialization in medical device research and development. Under the proposal, students would be admitted to study starting in 2017. The proposal calls for the new UIUC school, after operational ramp-up, to admit approximately 50 students per year. Judicial Drug Abuse Prevention Act introduced. Metro-East lawmaker Dwight Kay introduced HB 6313 on Thursday, October 6. The bill would require that no person may commence service as an Illinois judge until he or she has first submitted to drug and alcohol testing, and the test has returned clean results. The bill would further require that presiding judges must submit to random drug and alcohol testing at least once a year. Substances to be tested for include cannabis, Schedule I controlled substances, intoxicating compounds, and methamphetamine. Alcohol would also be searched for in the tests and re-tests, but a blood alcohol concentration of less than .02 would not result in the removal of the judge from judicial service. Judges removed from service would be placed in a substance abuse program. If re-admitted to judicial service, they would be subjected to an accelerated schedule of repeat drug/alcohol tests. The repeat schedule would include at least 9 tests per year for at the first 3 years after the suspended judge’s return to service. HB 6313 was referred to the House Rules Committee for assignment. The introduction of HB 6313 followed the recent death of St. Clair County associate judge Joe Christ, and the arrest and conviction of St. Clair County judge Michael “Mike” Cook. Judge Christ died of a cocaine overdose in March 2013, and Judge Cook was sentenced in March 2014 to serve two years in federal prison on heroin and gun charges. New license plates will increase diabetes awareness. The General Assembly enacted legislation in May 2013 (HB 1815) to start the process to create a permanent new motor vehicle license plate in honor of diabetes awareness. More than 1.3 million Illinoisans live with Type 1 or Type 2 diabetes, including 500,000 adults who are not aware that they have the disease; and hundreds of thousands of additional Illinois residents are pre-diabetic or have metabolic conditions consistent with a pathway towards the condition. Proceeds raised by the Office of the Secretary of State from sales of the plate will add to funding already available from Illinois’ Diabetes Check-Off Fund. This Fund, which is accessible to all Illinois individual income taxpayers, raises more than $100,000 annually in research grants. As progress toward implementing this legislation moves forward, members of the Illinois General Assembly met IndyCar driver Charlie Kimball, an ambassador for diabetes awareness, at Lurie Children’s Hospital on Thursday, November 13. The meeting announced the startup of a design contest for the new license plate, which could produce an icon similar to those already familiar to Illinois motorists to support the prevention of violence, generate funds for State parks and the environment, and accomplish other public causes. $25 from every plate sold will be earmarked for Check-Off Fund diabetes research. Lurie Children’s Hospital, a Chicago-based member of the family of teaching hospitals owned by or affiliated with Northwestern University, is a center of global research into Type 1 diabetes and its care. For many of those whose health conditions are progressing toward diabetes, the condition can be prevented or delayed through moderate weight loss, exercise, and other simple health precautions. Persons interested in this issue may choose to seek further advice from a trusted medical professional. Approximately 8,000 preliminary applications submitted. The Department of Public Health (DPH) has reported preliminary numbers from the medical cannabis patient card application process. 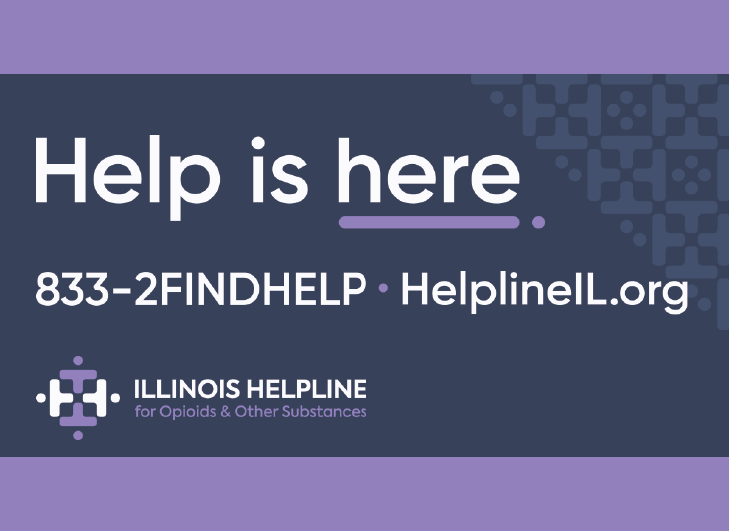 As of the first week in November, about 8,000 patients had initiated the application process, about 1,500 had submitted "accompanying documents" to clarify their eligibility status, and DPH has approved about 230 applications from around the state. The current numbers were published by the Chicago Sun-Times and can be found here. Accompanying documents must include a recommendation form from the patient's medical care provider, which must be mailed separately from the patient’s own application and must certify the patient has a qualifying medical health condition and would benefit from the use of medical cannabis. 37 specific health conditions, including Parkinson's disease, ALS, and lupus, qualify a patient to participate in the application process. Persons without a qualifying health diagnosis will not be authorized to apply for a registration card. Possession of a registration card will be a requirement to enter a cannabis dispensary and purchase supplies. The DPH report reflects the status of applications from patients with last names starting with the letters "A" through "L". Patients with last names starting with the letter "M" were allowed to join the applicant pool on November 1. All patients should apply before the end of the year. Registration cards will be issued to approved patients. General Assembly panel issues pensions report. The Commission on Government Forecasting and Accountability (CGFA), a non-partisan economic think tank and actuarial arm within the Illinois General Assembly, reported to lawmakers on Monday, November 10 on the current status of Illinois’ State-managed public sector pension systems. The Commission staff reports that changes in actuarial assumptions have led the State’s three pension-managerial boards to request additional funding of $578.6 million in general funds in the approaching Fiscal Year 2016, which will begin on July 1, 2015. This additional funding will also be required in FY17 and future years as the boards that oversee State-managed pension systems try to deal with their current fiscal status. The CGFA report can be found here. CGFA finds that Illinois’ state-managed pension systems continue to be inadequately funded. Staff reports that the actuarial value of the funds deposited in these systems on June 30, 2014 was $111.2 billion below the monies that should have been deposited. The combined unfunded liability of these systems, measured on a historical basis, was $104.6 billion in FY14 (the year ended June 30, 2014). More than one-half of both unfunded liability figures were accounted for by future liabilities owed under current law to current and retired Illinois public-school teachers, who are beneficiaries from the largest of the five public-sector pension funds covered in this report. The Teachers’ Retirement System (TRS) is the body tasked with investing and paying out pensions to a wide variety of teachers and other educational professionals employed in Illinois public schools and school systems. CGFA found that TRS currently has assets that are expected, over the payout period, to compound to less than 41 cents for every dollar it expects to owe TRS members over the next 30 years. Other Illinois state-managed pensions systems, smaller in size, face similar actuarial challenges. House Republican bill fights back against unfunded mandates. HB 6315, introduced by Rep. Mike Tryon, would block or slow down the imposition of State mandates on school districts. Aimed at the Illinois State Board of Education, the legislation looks at the administrative rules often imposed by the Board upon local school districts. Under the proposed law, interested persons would have the right to ask the Joint Committee on Administrative Rules (JCAR) whether the rule is a State mandate upon one or more local school districts. If this request is made, then under this bill JCAR would be required to examine the rule and determine its mandate status. If JCAR finds the proposed rule to be a mandate, the adoption of the rule would be suspended under the rule has been approved by a joint resolution of the General Assembly. 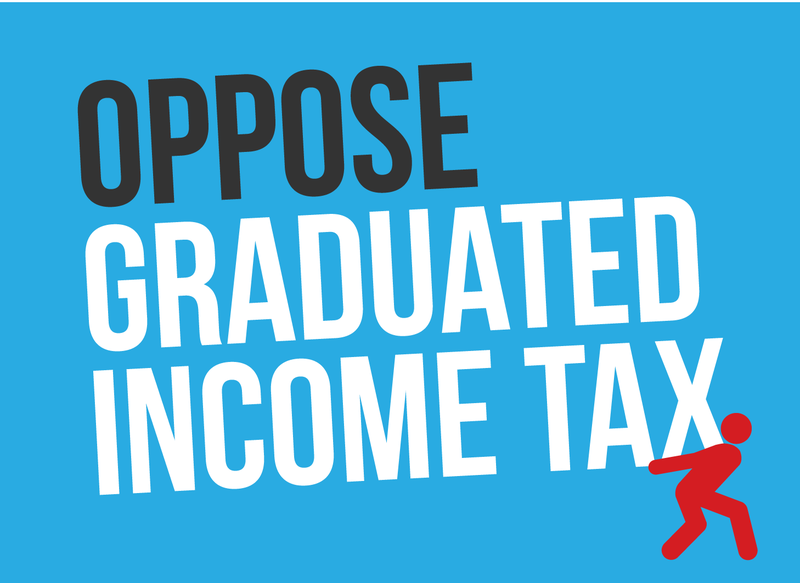 The goal of this procedure would be to compel all mandate policies of this type to win legislative majorities in both houses in the legislature in Springfield, as must be gained by proponents of new Illinois laws. Rep. Tryon and his co-sponsors are concerned that proponents of costly, intrusive mandates could be increasingly using the State Board of Education’s rulemaking powers to enact administrative laws without having to go through the General Assembly. United Airlines announcement. Changes in aviation technology are making it possible for more of the flights in and out of Chicago’s O’Hare International Airport, one of the world’s busiest spots for takeoffs and landings, to be made by larger planes. Chicago-based United Airlines confirmed this week that it plans to reduce the number of landing slots that it allocates to smaller, 50-passenger planes flown by its affiliate, “United Express,” and reallocate some of these landing slots to larger aircraft. The announcement was covered by the Chicago Tribune. United’s announcement should lead to a further increase in O’Hare’s passenger capacity and capability to serve as a nationwide business and transportation hub. However, the airport’s neighbors continue to be concerned about the effects of airport noise on local quality-of-life and property values. In addition, the move toward larger aircraft, with takeoffs bunched at particular times of day, could affect the ability of United and other airlines that use O’Hare to maintain flight schedules for operations in and out of the airport. The airline industry believes that O’Hare International’s runway reconstruction program, which has already led to the construction of new runways such as 10C-28C, will increase the ability of airport flight controllers to safely move heavy planes on and off the tarmac on an expedited frequency of movements. Get the Week in Review emailed directly to your inbox! Sign up today to get a first-hand look at the continuing legislative and fiscal challenges facing policymakers in Springfield. 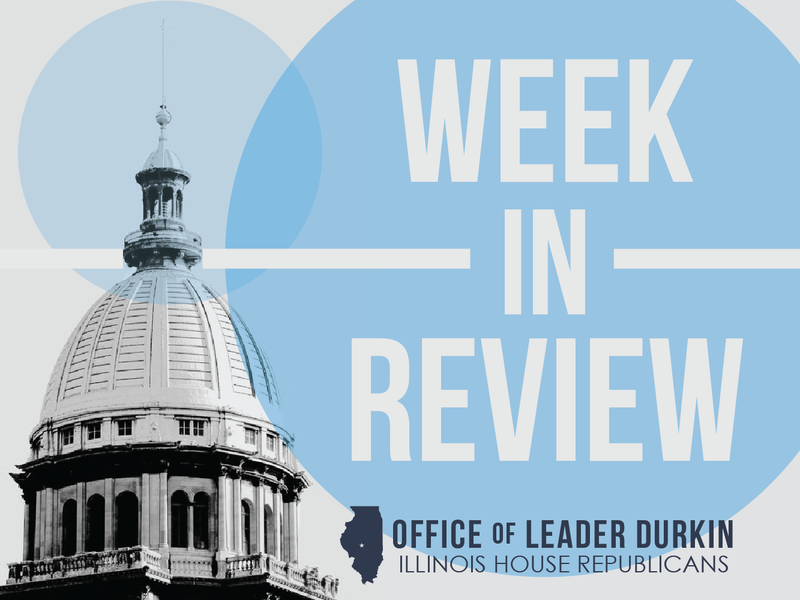 As the fall 2014 veto session approaches and Illinois prepares to welcome Governor-elect Bruce Rauner, the Week in Review is more essential than ever as a way to follow major Illinois issues, questions, and trends.